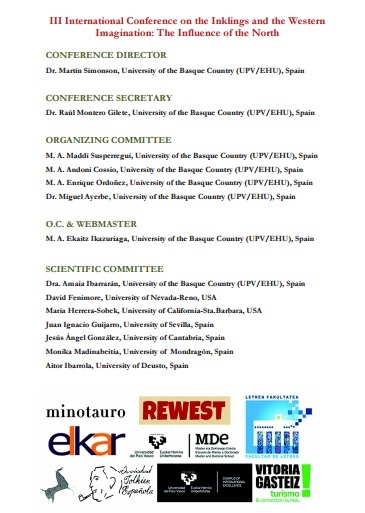 Second and last day of the conference passed! 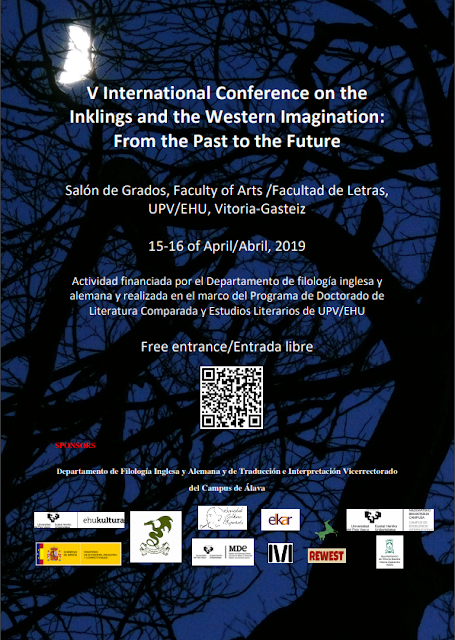 Today has started with the paper presented by Dr. Luis Florencio Díaz, from the UPV/EHU, who has been dealing with Stephen King's "The Body" novel. 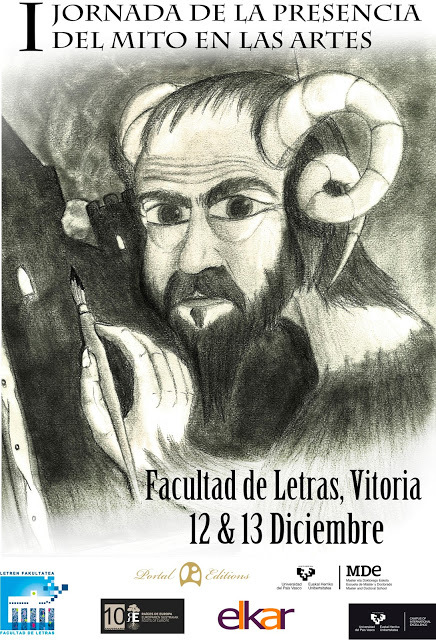 Following Dr. Luis Florencio, the new scholar from the faculty Amaya Fernandez Menicucci has brought the paper under the title of "The Subversion of Elves and Barbarians in the Works of Terry Pratchett”. In a third round, and finishing with the morning papers, the former scholar of the faculty Dr. Miguel Santamaría has presented his paper on the translation of J. R. R. Tolkien's works. For the beginning of the afternoon, the congress continued with a round table with all the participants (exept Dr. Ayerbe and Dr. Zemjlic), also having as a guest of the conference Raúl Pérez, from the Sociedad Tolkien Española. In this session, our guests debated about the topics presented between the two days of congress and put ideas in common. Finally after a short break for coffee, Dr. Miguel Ayerbe, also from the UPV/EHU, has presented his paper about the importance of the influence of the Nordic sagas on "El cantar de los Nibelungos". To conclude with the congress, Dr. Raúl Montero and Dr. Martin Simonson have thanked all the participants of the congress.